At DS Appliance Repair Waterloo, we are a team of skilled and experienced appliance repair professionals. From the moment you call our office, we are dedicated to your 100% satisfaction. Offering the most comprehensive appliance repair in Waterloo, we believe in treating our customers with courtesy and respect. From our office administrative personnel to our highly skilled repair technicians, you will get the best appliance repair service the industry has to offer. 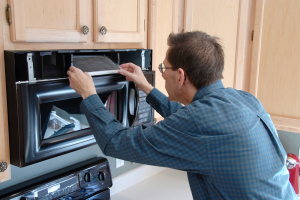 At DS Appliance Repair Waterloo, we understand how inconvenient an appliance breakdown can be. The modern family is extremely reliant on the efficient operating of all household appliances and when a breakdown occurs, they want it fixed quickly and affordably. When you call our number, you get immediate attention. We know appliance breakdowns don’t just wait for regular operating hours. Our emergency services are there around the clock just for those moments. We are the company to trust. 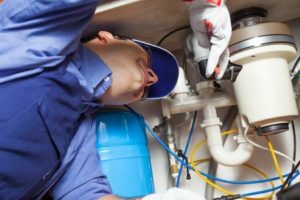 When you invite any repair service personnel into your home, you are entrusting them around your personal belongings and your family. Each of our service professionals undergoes extensive background checks and drug tests so you can have peace of mind when you invite one of our staff into your home. Every technician has been trained and factory certified. Today’s appliances have sophisticated technology so we make sure each of our technicians has the most up-to-date training for today’s cutting-edge appliance technology. Each time we answer a service call, our technicians come equipped with a fully-stocked service vehicle. In this way, most parts and tools are on hand for almost any appliance repair. 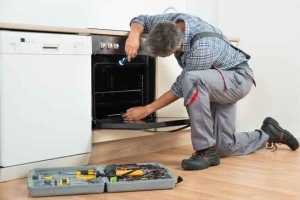 In most cases, your appliance will be repaired quickly and efficiently without waiting for parts to be ordered and another service call to be scheduled. All our parts and services are 100% guaranteed and we only use original, factory authorized parts. When authorized parts are used, you are covered by any manufacturers’ warranties as well for further peace of mind. Our upfront quote will always be the price you pay. In this way, you will always know the cost of your repair before we begin any work. And our technicians will never begin work until all your questions and concerns are answered completely. When you call DS Appliance Repair Waterloo for your appliance repairs, you will never have to worry about extra fees and costs. At DS Appliance Repair Waterloo, we believe that regular diagnostic inspections and periodic maintenance of your household appliances can prevent almost 90% of repairs or replacement costs and improve the effectiveness and energy efficiency of your household appliances. That is why we offer fully tailored maintenance plans for your appliances. During a maintenance visit, our technicians will do a thorough inspection and cleaning of your appliances to ensure that they are working at their peak performance. 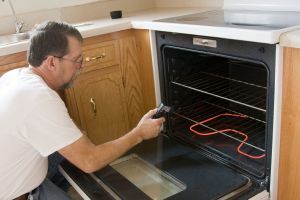 At DS Appliance Repair Waterloo, we offer full professional installations of your new appliances or any appliances that have been moved due to renovations.Often, full installation is not offered by appliance sellers, especially when it involves gas or plumbing hook-ups. Our skilled professionals have the appropriate tools and experience to ensure safe handling when it comes to the installation of any of your new appliances. When you call us, you can have peace of mind that your installations are being done by experienced experts. Whether you are looking for expert appliance repair services in Waterloo, installation services, or maintenance plans, the professionals at DS Appliance Repair Waterloo can fill your needs. Our expert and friendly staff are there to help you from your very first phone call. Our customers’ satisfaction is our first priority. Call us today for the finest professionalism in appliance repair today in Waterloo and the GTA.